The first of this years Goovies. 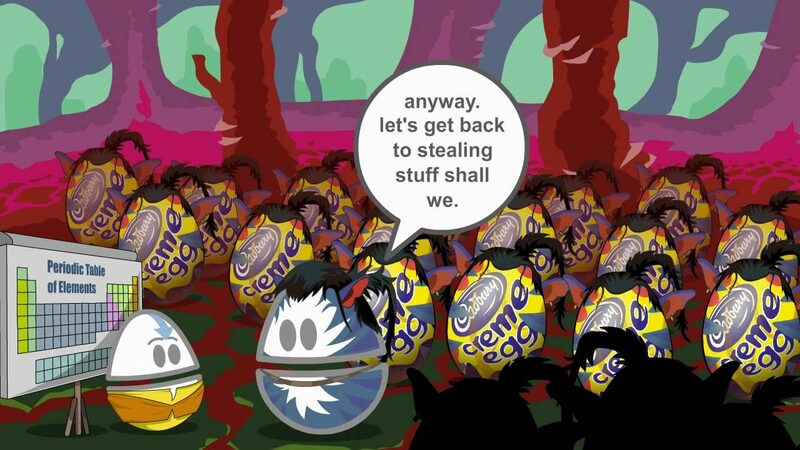 Avatar… with Cream Eggs! Q: What do you use to animate?A: Mostly Flash and a bit of After Effects. How do you make your music?A: Reason/Record by Propellerheads. Audition for voice editing and a SE2200a mic. Posted On January 31, 2011 January 31, 2011 in Toons with 0 Comments.